The other day my client caught me eating a quick snack between sessions. “It must be nice to be able to eat avocados and nuts all the time and not have to worry about your figure!” Dana exclaimed incredulously. At first I didn’t understand what she was talking about. Then I realized, after she scrunched up her face and mouthed the word “fat” what was going on. Doctors and nutritionists have been advising people for years now that a diet that’s low in fat and high in carbohydrates is the best way to eat. All too often, it’s dietary fat that gets blamed for our ever-increasing obesity rates, high cholesterol and heart disease. I’ve had clients (like Dana!) try and convince me before that it’s fat that makes them fat. I’m old enough to remember the fat-free phenomena of the early 90’s. It was a heady time where we all over-indulged on Snackwells Devil’s Food cookies and Entenmann's fat-free coffee cake. It was the illusion of guilt free eating at its best. The mantra of the day was eat as much of whatever you want… as long as it contains no fat! Nevermind the fact that all the fat was replaced with untold amounts of sugar in order for everything to taste delicious. I get it, there is a lot of confusion when it comes to fat, let me clear up some of it and help you understand why it’s not only important, but good for us! Fat is an essential macronutrient that helps us grow and develop. Fats make it possible for us absorb several key vitamins. And, with 9 calories per gram, fat is the most concentrated source of energy. Now, with that being said, I did not just give you permission to swerve over to the nearest In-N-out Burger on the way home and binge on a double-double with extra fries. When we are talking about fats, it’s important to remember that not all fats are created equal. There are indeed good fats and bad fats. While saturated fats have often been demonized, the American Journal of Clinical Nutrition found that there is not a correlation between saturated fat and heart disease. 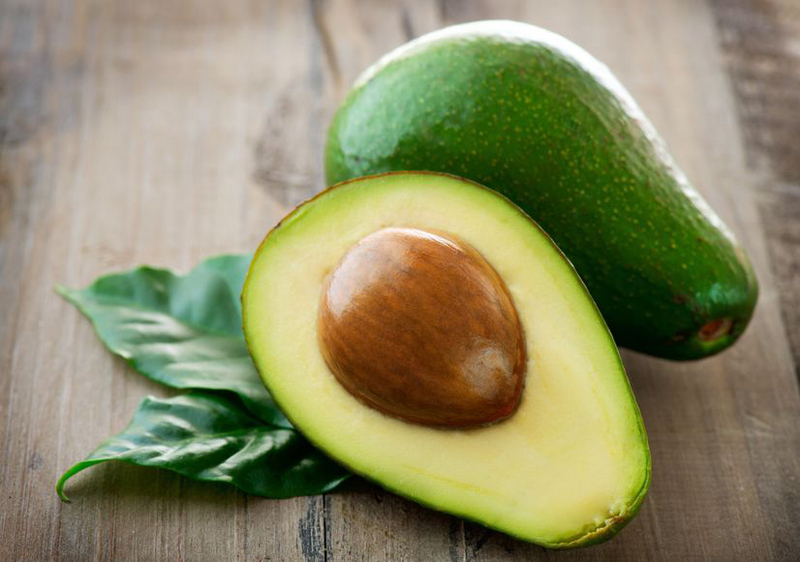 Examples of healthy fats include avocados, nuts, coconut oil, olive oil, fish and grass-fed beef. The fats we do want to be avoiding, the “bad” fats if you will, are trans fats and vegetable oils. Trans fats are typically found in items like store bought cookies, fried foods, non-dairy creamer, etc. Eating foods high in trans fats will actually increase our levels of LDL cholesterol (the bad kind!) and lower our levels of GOOD cholesterol (HDL.) Trans fats also create inflammation increasing our risk of heart disease, diabetes and stroke. Despite the fact that for decades we have been told to consume carbs and skip the fat, we have continued to gain weight at an alarming rate. Not only are we increasing our waistlines, we are setting ourselves up for becoming insulin resistant and increasing our risk for type II diabetes. Let’s take a look at some of the reasons why you need to put down those nasty rice cakes and grab an avocado. I know it goes against everything you’ve probably ever been told, but it’s true, eating fat can actually make you lean. Omega-3 fats like those found in certain fish, nuts and flax seeds can help regulate lipolysis, essentially reducing weight gain and contributing to weight loss. Before you panic at the the thought of building muscle, I don’t mean you are going to look like Hercules or Xena, Warrior Princess. I simply mean that fats support your body’s ability to produce growth hormone which inhibit the breakdown of muscle as a result of strength training. As we get older we naturally begin to lose bone density, but we can fight that decline with a little help. Although strength training has been shown to be invaluable when it comes to bone strength, it is imperative that we supply our bodies with the proper building blocks. Vitamins K2 and D are both fat-soluble nutrients essential for building strong bones and preventing osteoporosis. Although working out is good for us, it is still a stressor on our bodies. Although a weakened immune system is usually just associated with working out TOO much, it’s still a good idea to take care of our immune system as much as we can. There is evidence that suggests that certain saturated fats found in coconut oil can help to improve our overall immune health. Don’t take this the wrong way, but your brain is primarily comprised of fat and cholesterol. Since your brain is almost 60% fat, fatty acids are some of the most important building blocks when it comes to your brain and its’ ability to perform. A majority of that 60% is comprised of the omega-3 fatty acid, DHA. DHA has been shown to improve brain functions like motor skills which are crucial for athletes. A diet high in omega-3 can also improve conditions of depression and ADHD. But because our bodies don’t produce these fatty acids it’s important that we get them from our diet. It’s time to stop being afraid of fats, just be aware which fats you are consuming. Do you include a wide variety of healthy fats in your diet? I’d love to hear what some of your favorites are! Feel free to share below or on my Facebook page.